Yeah! This one jumped right out of the stereo at me. 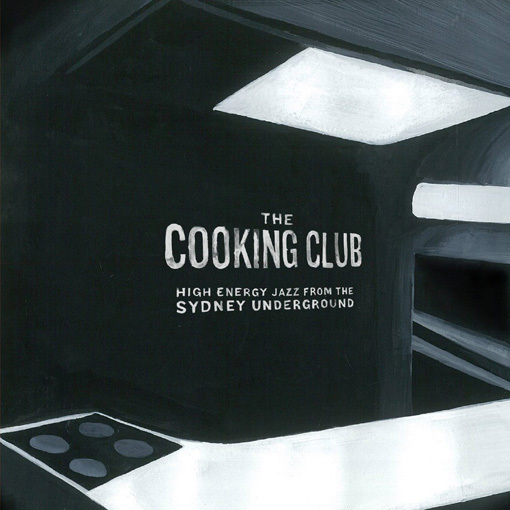 The title High Energy Jazz from the Sydney Underground (yes, they really called it that) reflects the brattish confidence of the music of The Cooking Club. Tenor player Michael Gordon’s quartet is jumping with young energy – Ken Allars on trumpet, Tom Wade on double bass and Finn Ryan on drums. The sinewy energy of this piano-less format winds the bristling tension up to cracking point on the more free-jazz passages here. It is leavened with chill riffs from the classic tenor-trumpet hard-bop front line, and deep soul grooves (or spiky cat-and-mouse) from Wade and Ryan underneath it all. Playing anywhere and everywhere for the last five years has refined, toughened and meshed their sound – it is always readily apparent when jazz players, too often skipping from loose conglomerate to pick-up group, decide to stick together and see what flowers. 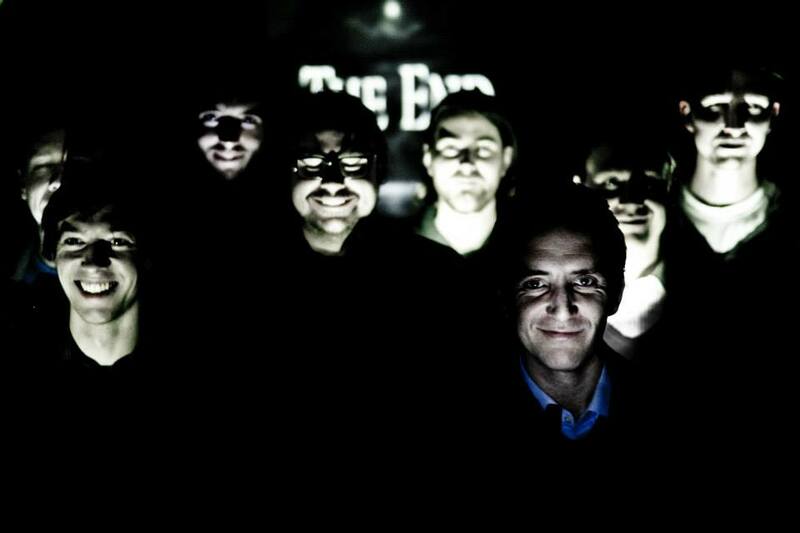 Their evolution into a sort of punk-jazz animal with three clawed feet in the here-and-now and one in the past of jazz tradition is the reward of time served – a reward for them, and a reward for us who listen at their gigs, or to this album, their debut. It’s there in opener ‘Big Job’ which slides from a vertiginous, Ornettey bop head into a rock-and-roiling twin horn solo. It’s there in the jump of ‘Crips Up’ and the viscous blues of ‘Solid Grease’. Gordon’s tenor playing is consistently startling – his repeated intro to ‘The Cat’s Pyjamas’ plays odd games with the meter, in and out of a great hard-bop line. 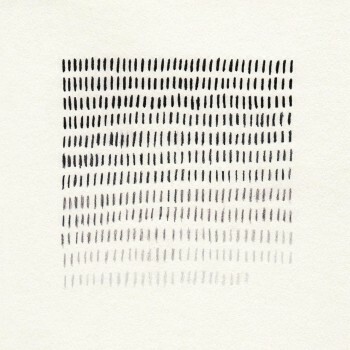 His a cappella solo here is part play and part sermon, and a lot wonderful. Then the band explodes through the wall with Allars bristling and stabbing and Wade and Ryan rocking, before the music collapses inwards on itself for Allars’ solo. 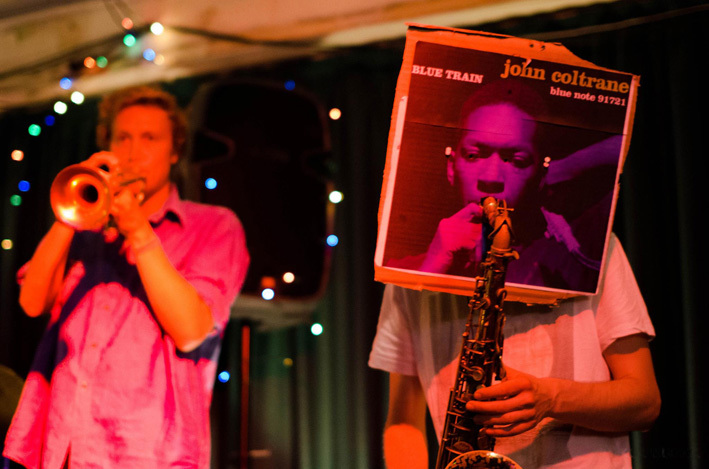 The track is typical of the energy and blessed wildness across High Energy Jazz from the Sydney Underground. It is a wildness that Sydney jazz sometimes needs a shot of, and I look forward to much more such adrenalin from the Michael Gordon’s Cooking Club.